I love quotes, I just do. Writing them down after noticing somewhere – in a book or a magazine, hearing in a movie, a song or told by a friend. Their essence being their beauty. Must admit I have been useless with keeping track of the great minds they really belong to but…yes, I hold them close to my heart. Even on my blog. *Yesterday is another country-borders are now closed. *Don’ t tell me sky is the limit when there are foot-prints on the Moon! *Boundaries don’t keep other people out. They fence you in. Life is messy. That’s how we are made. So, you can waste your life drawing lines. Or you can live your life crossing them. *Among those whom I like or admire, I can find no common denominator, but among those whom I love, I can: all of them make me laugh. *There are moments when all of a sudden time stops and becomes eternal. If everything on earth were rational, nothing would happen. *Generosity is giving more than you can, and pride is taking less than you need. *We choose our joys and sorrows long before we experience them. *At the end of the day faith is a funny thing. It turns up when you don’t really expect it. It’s like one day you realize that the fairy tale may be slightly different than you dreamed. The castle, well, it may not be a castle. And it’s not so important happy ever after, just that its happy right now. See once in a while, once in a blue moon, people will surprise you , and once in a while people may even take your breath away. *It is not the mountain ahead to climb that wears you out; it is the pebble in your shoe. *There’s something to be said about a glass half full. About knowing when to say when. I think it’s a floating line. A barometer of need and desire. It’s entirely up to the individual. And depends on what’s being poured. Sometimes all we want is a taste. Other times there’s no such thing as enough, the glass is bottomless. And all we want, is more. *Games are all about glory, pain and the play by play. Then there are the more solitary games, the games we each play all by ourselves-the social games, the mind games. We use them to pass the time; to make life more interesting.. to distract us from what’s really going on. *It’s good to be scared. It means you still have something to lose. *Everything you want in life has a price connected to it. There’s a price to pay if you want to make things better, a price to pay just for leaving things as they are, a price for everything. *- Ты решила быть сильной? – Кажется, я всегда такой была, просто забыла…. На этих самых разностях построен этот мир. *Children aren’t our colouring books. We don’t get to fill them with our favourite colours. *To love. To be loved. To never forget your own insignificance. To never get used to the unspeakable violence and the vulgar disparity of life around you. To seek joy in the saddest places. To pursue beauty to its lair. To never simplify what is complicated or complicate what is simple. To respect strength, never power. Above all, to watch. To try and understand. To never look away. And never, never, to forget. *People can turn off the sun, but I’m still gonna shine. *The only Zen you find on tops of mountains is the Zen you bring there. *Haters only hate the things they can’ t get and the people they can’ t be. Don’ t let them get you down. *Common sense and a sense of humor are the same thing, moving at different speeds. A sense of humor is just common sense, dancing. *Never neglect the little things. Never skimp on that extra effort, that additional few minutes, that soft word of praise or thanks, that delivery of the very best that you can do. It does not matter what others think, it is of prime importance, however, what you think about you. You can never do your best, which should always be your trademark, if you are cutting corners and shirking responsibilities. You are special. Act it. Never neglect the little things. *Children in a family are like flowers in a bouquet: there’s always one determined to face in an opposite direction from the way the arranger desires. *We’re never so vulnerable than when we trust someone – but paradoxically, if we cannot trust, neither can we find love and joy. *You will not be punished for your anger; you will be punished by your anger. *What you think of me is none of my business. *Somewhere between the bottom of the climb and the summit is the answer to the mystery why we climb. *Conversation about the weather is the last refuge of the unimaginative. *Tolerance is giving to every other human being every right that you claim for yourself. *Travel can be one of the most rewarding forms of introspection. *The dictionary is the only place where success comes before work. *Feelings are much like waves, we can’t stop them from coming but we can choose which one to surf. *And those who were seen dancing were thought to be insane by those who could not hear the music. *We see things not as they are, but as we are. *…the only people for me are the mad ones, the ones who are mad to live, mad to talk, mad to be saved, desirous of everything at the same time, the ones who never yawn or say a commonplace thing, but burn, burn, burn like fabulous yellow roman candles exploding like spiders across the stars. *Success is not final, failure is not fatal: it is the courage to continue that counts. *Those who love you are not fooled by mistakes you have made or dark images you hold about yourself. They remember your beauty when you feel ugly; your wholeness when you are broken; your innocence when you feel guilty; and your purpose when you are confused. *Everyone is a genius. But if you judge a fish on its ability to climb a tree, it will live its whole life believing that it is stupid. *Do not chase people. Be you and do your own thing and work hard. The right people who belong in your life will come to you, and stay. *The desire to write grows with writing. Couldn’ t agree with you more! I do keep all of these close to my heart. Thanks so much for visiting my blog and liking “Creating Yourself”. I hope you come back again soon. Thank you. You have such a vibrant, colourful blog and a natural gift of capturing moments. I am sure I will be back for more of the art and positivity. I love inspirational quotes like these. I like to be reminded to open my eyes and heart to what’s in front of me, to what should be obvious, but I have ceased seeing because I’ve been too busy or preoccupied and I may have forgotten of what’s more important. And to be reminded so poetically like with these quotes = beautiful. Thank you for sharing these, and for visiting my blog! Thank you. I really am quite a fan of quotes and they have been piling up. So I decided sharing them here might be not such a bad idea afterall. I am happy I did and they “touched” you. Thank you. 🙂 Yes, you have a very strong point there – about the authors but somehow…the way they had been collected…through time here there unfortunately no names. I love all of these quotes! 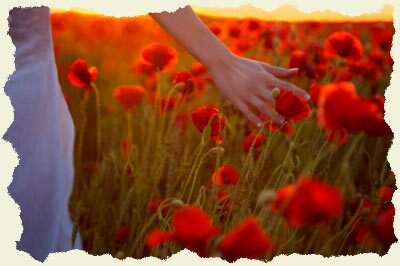 And the name of this page – the nickname for my childhood friend is Poppy. She is a bright spot like the flower and these quotes. I’ve been enjoying your blog. So nice to “meet” you by way of the Geometry photo challenge. Thank you for visiting my blog and “Like-ing” my post. I love the quotes that you attach with your photography which in itself is beautiful to behold. 🙂 I am really happy to hear that. Thank you very much. And Happy New Year wishes all the way from Latvia! Thank you very much, The Eye-dancers. I am honoured. I came here for the seeds since I love poppies. I grow them every year. 🙂 I hope they were useful…and will blossom. Great quotes, thanks a lot for sharing. I love quotes, some real goodies in here, thanks. I must admit I am a bit and a bit more into quotes therefore this part of the blog came together…naturally. I can’t say I am updating them very often but when something really stands out and keeps wandering around my mind, I make sure it finds a place here. Thanks for the quotes. I really like the one about footprints on the moon.